Banking on our team of professionals we have been able to bring forth the best-in-class range of Accessories for Medical Equipment. This range includes Tools for Water Input, Protector for Eyeball, Power Cord, Pedal and Filter Cleaner. All our products are made of high-grade basic material, procured from the accredited vendors of the industry. Designed as per the defined quality parameters of the industry, these offered products promises longer service life with efficiency. We are widely appreciated for offering exemplary E-light Hand piece. Precisely developed using high-grade basic material, these products are in compliance with the defined parameters of the medical sector. Furthermore, to cater to the diversified demands of the clients, we offer these products in different specifications. With the support of our team, we have been able to provide our valued clients with the best Laser Probes. Designed to impeccability, these products designed for trouble-free operation. 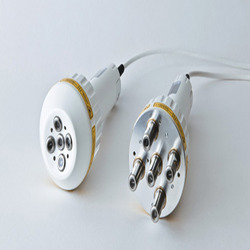 Our products are in conformance with the defined parameters of the medical industry, signifying their high standards. Red face ,red nose ,spider veins,skin rejuvenation ,wrinkle ,speckle removal. 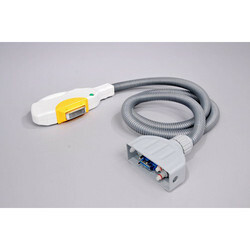 We are an preeminent name engaged in offering IPL Handpiece with peerless quality. Made of supreme quality required basic material and advanced technology, these products are in compliance with the established parameters. To cater to the diversified requirements of the clients, we offer these products in different technical specifications.